The Specialty Exhibit delivered by UPS will house the new display featuring unique artifacts from this memorable class. 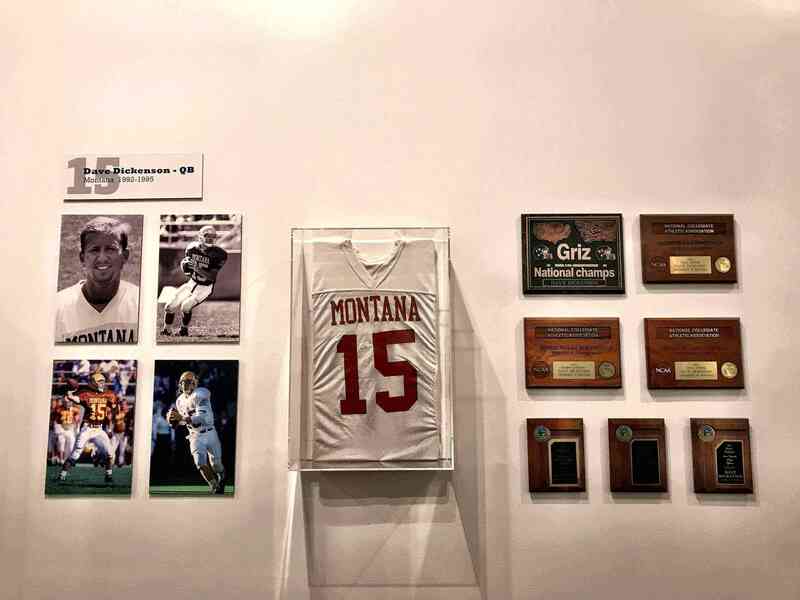 The Chick-fil-A College Football Hall of Fame announces its latest exhibit honoring the 2018 Hall of Fame Class in the Specialty Exhibit delivered by UPS, an official partner of the College Football Hall of Fame. The Hall’s newest display will be open until January 2019. The new exhibit features three championship replica rings from legendary head coach Frank Beamer (Murray State, Virginia Tech), a game-worn jersey and helmet from Paul Palmer (Temple), and other unique artifacts including Matt Stinchcomb’s (Georgia) size 14 game-worn cleats and Calvin Johnson’s (Georgia Tech) college letterman jacket. Additional members of the class include Trevor Cobb (Rice), Kerry Collins (Penn State), Dave Dickenson (Montana), Dana Howard (Illinois), Ed Reed (Miami), Aaron Taylor (Nebraska), Charles Woodson (Michigan), coach Mack Brown (Appalachian State, Tulane, North Carolina, Texas) and coach Mel Tjeerdsma (Austin College, Northwest Missouri State). Each player and coach in the new class have a dedicated area within the exhibit space for fans to get up close and personal to view photos and memorabilia. Including the 2018 Hall of Fame class, only 997 players and 217 coaches have been inducted into the College Football Hall of Fame of the nearly 5.26 million who have played or coached the game during the past 149 years. In other words, less than two one-hundredths of a percent (.02%) of the individuals who have played the game have been deemed worthy of this distinction. In December, the 2018 Hall of Fame be honored in person with a special ceremony at the Hall of Fame during the National Football Foundation Salute at the Chick-fil-A Peach Bowl.